Barsetshire, the fictional English county created by Anthony Trollope in the 1850s and co-opted by Angela Thirkell in the 1930s, is the setting for a number of my favourite books and home to many of my favourite characters. It is here that Dr. Grantly lived and Lydia Merton was born, that ecumenical battles were waged and the perplexities of wartime double-summertime endured. Over the years, governments fall and fortunes are lost but Barsetshire, cosy and conservative, remains much the same and much loved by generations of readers. I first discovered Barsetshire in 2011 and have been reading both Trollope and Thirkell’s books eagerly since then. 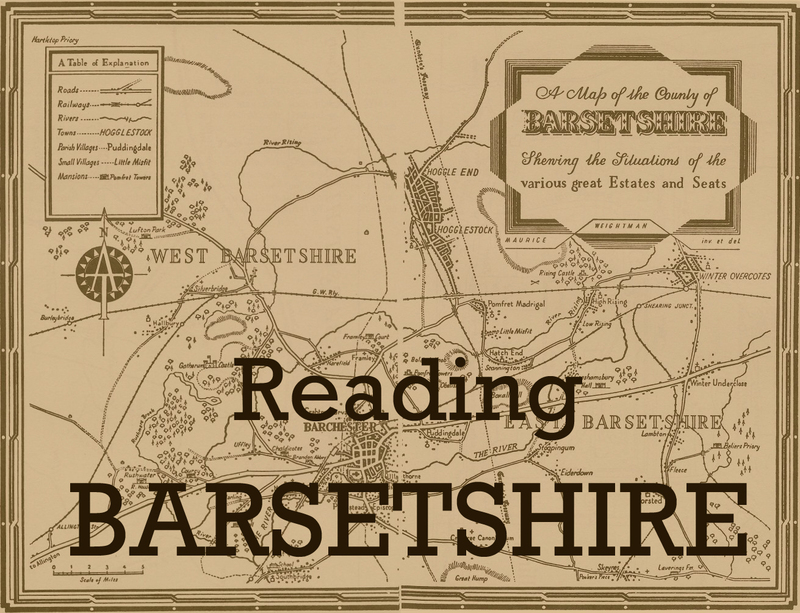 With Reading Barsetshire, I now have a place to bring together my reviews of all the Barsetshire-set books. Whether you are a long-time visitor to Barsetshire or have just discovered it, I hope you enjoy browsing through my thoughts on these wonderful books. I don’t have a blog but wanted to comment because I love Trollope and Thirkell too. I have just started The Duke’s Daughter (I got the whole Thirkell set from Abe Books last year). 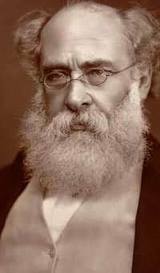 I have most all of Trollope’s books and I think this winter I will re-read the Barsetshire books. The first one I ever read was The Last Chronicle… and I was hooked. I will be reading your reviews with pleasure. Thank you. I must thank you for introducing me to Angela Thirkell. I know I had a copy of one of her books years ago, but I donated it to the library bookstore unread. After reading your blog, I have now listened to The Brandons and am currently listening to Before Lunch. I also have Christmas at High Rising on my Kindle. Thank you, thank you, thank you!! On each re-read my favourite Thirkell changes, but as my current favourite is ‘Before Lunch’ I do hope you’ll read it soon. As for Trollope: I’m old enough to have loads of the little navy Oxford classics of his works, which are ideal for travelling, so I’m now deciding on a Trollope for my next trip, current favourite: Orley Farm. Thank you for a great blog I love Library Loot, so few English bloggers seem to use libraries which are currently being decimated in England. I’m trying to learn to like Before Lunch but for now it’s probably my least favourite, which is why I haven’t yet been able to summon the energy to write a proper review of it. Still, I hope one day I’ll come to enjoy it as much as you do! I do agree with Rita Rundle about the Angela Thirkell Society: I don’t usually join things, but this is not a group of breathless fans nor a club that will frown at you if you can’t remember exactly what happened in “A Double Affair”. And the 20th century AT does not hijack the inventor of Barsetshire, which is just as well as I came across Trollope at school and dislike prequels and sequels written by other authors! Thirkell’s use of the Trollope material is more like a graceful bow to the past. Because of my love of Trollope I bought Thirkell’s Wild Strawberries. I am thinking I might read it first, tho it appears to be the third book. What do you recommend, that I read them strictly in order? Wild Strawberries and High Rising are equally good places to start. 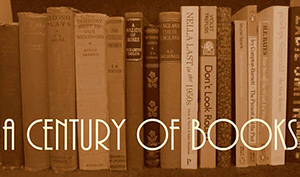 In fact, almost any of the “pre-WWII” books can be almost stand alone. I don’t think she really knew she was writing a series until Summer Half, and the number of continuing characters and plot threads from the past that it is helpful to remember doesn’t really pick up much till Cheerfulness Breaks In, the first WWII book. Do you have to read the Trollope Barsetshire books in order? I randomly picked up The Small House at Allington at a charity shop today, not realizing it was part of a series. I think The Last Chronicle of Barset might be difficult without any prior knowledge of the characters but the other books can all stand alone very well – particularly The Small House at Allington (my favourite). Claire, I entirely agree. The Small House is a little gem. When it comes to Thirkell’s Barsetshire novels, I started with County Chronicle (well into the middle of the series at something like 16th!) and it never did me any harm. Hi Claire, I am a complete Barsetshire newbie, but I picked up a Thirkell’s at a library sale recently. Just wondering, would you recommend reading some of Trollope’s Barsetshire first or does it not really matter? I sure from so many reviews I’m going to love these! You certainly don’t need to – I started with Thirkell’s Barsetshire very happily – but your reading is definitely enriched once you’re familiar with Trollope’s Barsetshire. Basically, you’re good either way! Happy reading. No need to read Trollope but it does add interest because of Thirkell using his place-names and some character names. Like recognising the references in La La Land! What a fabulous resource. I have just discovered Barsetshire via Northbridge Rectory…and now I want to know everything and meet everyone else who loves these books!! Well this is certainly a good place to start! You have lots of happy reading ahead of you. Enjoy! How nice to read your comment on my birthday, Brona (!) 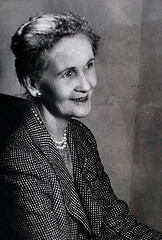 Claire is a wonderful guide to Thirkell as well as to a dazzling range of other writers. If you want to check out the website of the Angela Thirkell Society in the UK you may find some interesting points that are a little aside from the plots of the books. And if you are in the USA, the Society’s members there are very active and are separately organised.